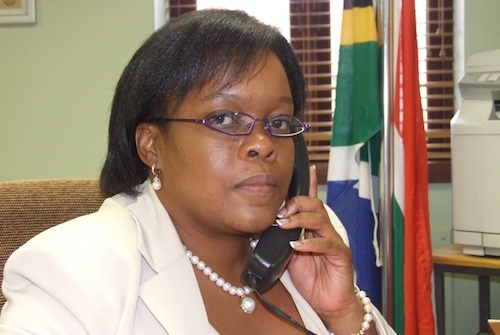 National consumer commissioner Mamodupi Mohlala has served telecommunications operators with compliance notices after they refused to amend their customer contracts to explain their call rates. Signing the notice would legally bind the operators and allowed liability claims by consumers, Business Day reported on Thursday. Mohlala served the companies with compliance notices on Wednesday after they refused to sign consent orders acknowledging their contracts did not comply with the Consumer Protection Act and undertaking to amend them. The commission had been at loggerheads with the sector since it came into operation in April and received a flood of complaints from irate consumers. To date, no penalties had been imposed on the operators for non-compliance with the act. Mohlala had given the operators until mid-September to agree to change their contracts’ terms and conditions or oppose her demands. The new contracts should give consumers the right to terminate contracts by giving 20 days’ notice; adequately explain pricing such as call rates; and remove the automatic renewal of contracts without consumers’ consent. Mohlala said if the companies failed to consent to the amendments, she would take the matter to the National Consumer Tribunal and argue for sanctions of 10% of annual revenue.